Today we started a new series called The Invitation. 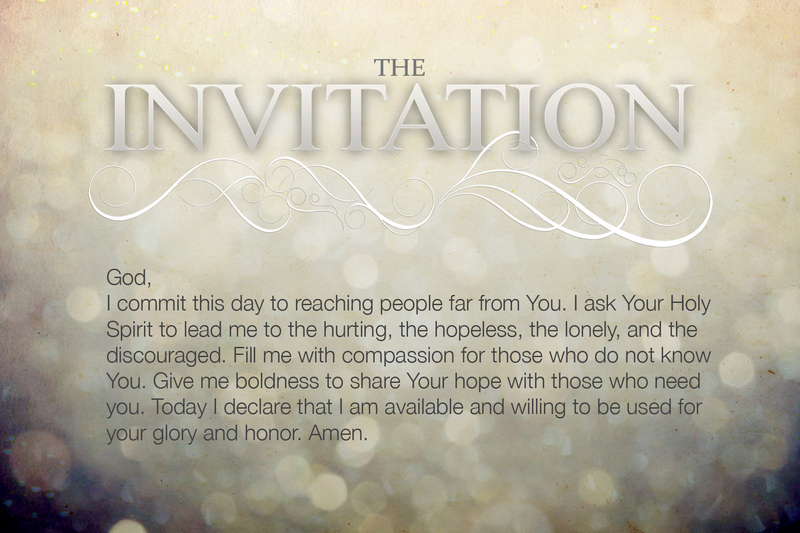 For the next few weeks we will talk about the most important invitation we can give; the invitation to follow Jesus. We kicked off the series, this morning, with something very radical that we had never attempted before. No band. No sermon. No chairs in rows. Instead, people sat in circles of 4 with one of our Red Food bags in the middle. After a brief explanation (you can listen to the audio here) we sent our people out to meet our neighbors and give away their Red Food bag. 30 minutes later people began to return with some great stories. One team knocked on a door and met a single mom who is working two jobs just to make ends meet. She just happened to be home on her day off. She and her children were overwhelmed. One team discovered there is a homeless man living right across the street from the church. He was very thankful for the food. One team offered the bag to a man who said he had too far to go. They offered him a ride and 15 minutes later they found themselves in front of his house. A blue tarp, with a twin mattress, and a box full of clothes. He, like the other man, was homeless. Several teams visited an apartment community. When the teams told the people what our church was doing they thought they were joking. They couldn’t believe that a church was giving food away with no strings attached. Over the next 30 days the people of Connection Church will be praying the Invitation Declaration. I can’t wait to see what God does through His people as we step out in faithful obedience.